We all make mistakes, transcribers and the original form writers (whether they be parish clerks or census enumerators) included. As we know, it’s important to check original documents whenever possible and not trust in just the transcription, but sometimes the details on original documents should be taken with a pinch of salt. I would imagine that most people researching their family history have come across a few transcription errors – usually names that have been mis-transcribed from difficult to read old handwriting. 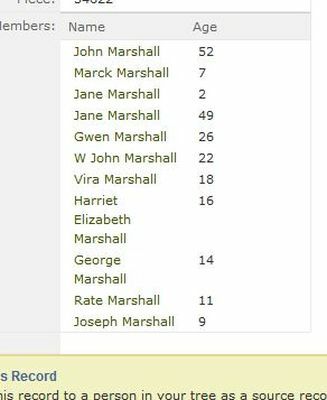 On the 1911 census, my great grandmother Kate is listed as Rate, her brother Uriah is Vira and her sister Eunice is Marck. I think the strangest transcription error I have come across was when I was trying to find a record using an address search of the 1911 census on Find My Past. All the even numbers for the road came up, but not the odd ones. The same thing happened on the 1901 census. I tried Ancestry instead and they had all the houses in the street listed on both censuses. Out of curiosity I went back to Find My Past, this time I searched for the occupant of the house and found them straight away. Why had the record not appeared in my initial search? Well the street name wasn’t simply mis-transcribed with a letter or two out of place, it was a completely different street name (Moss Bay Road had been replaced with Western Place, in case you are interested). As you can see in the above images, the original census form clearly shows the address as being Moss Bay Road, so where Western Place came from I have no idea. Sometimes errors are not the fault of the poor transcriber (I have done transcribing and it can be tedious work). 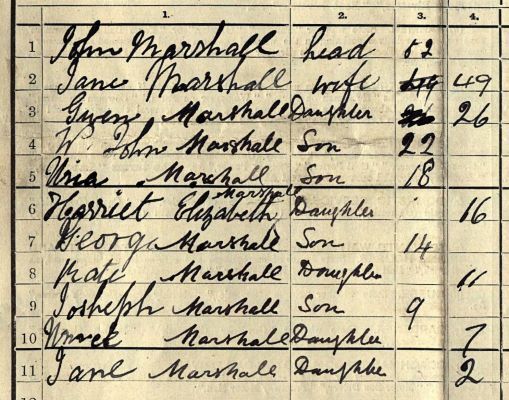 When I was researching my 3 x great grandparents I struggled to find them on the 1871 census. Luckily I found one the children’s marriages in 1870, his address was listed and a search for that found the family – their surname of McAndrew had been transcribed as McKandy on Find My Past and McRandy on Ancestry – this turned out not to be a transcription error though, but instead a case of the enumerator not understanding their Irish accents.